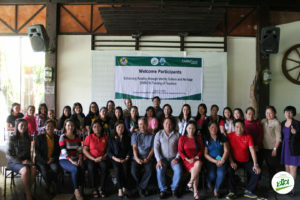 XSF-KKKK conducts 2nd ENRICH Training - Xavier Science Foundation, Inc.
On its 2nd year, the training aims to expand the program for all its elementary and high school in Cagayan de Oro with the help of DepEd Cagayan de Oro City Division. Ten (10) elementary schools attended the said training namely; Dansolihon, Bayanga, Midkiwan, Upper Carmen, Sacred Heart, Macanhan, West City Central, Pamalihi, Pagatpat and San Simon together with district supervisors from South West 2 and West 2. Representing the Xavier Science Foundation was Roel Ravanera the executive director of the organization who delivered his opening message to the school representatives. Moreover, few DepEd supervisor officials attended the said training namely; Romeo Aclo of Araling Panlipunan, Ray Maghuyop of Mathematics both Education Program Supervisors and Anita Gochuco, Public School District Supervisor of DepEd who led the coordination on the program. Last year, the 2 pilot schools namely; Mambuaya and Mangalay Elementary School successfully implemented the said program and resulted to zero non-readers in both schools indicating the significant improvement on both reading and numeracy levels among learners with the use of ASER tool. The 2 pilot school representatives served as the resource person in the training namely; Michelle Avila and Joseph Palle, respectively. 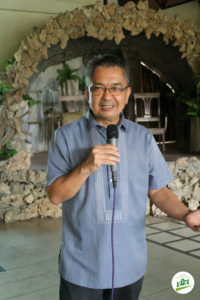 This pushed the DepEd Cagayan de Oro Division to replicate the program in all public elementary schools in the city. The training provided the school representatives the administration of the program model being implemented with different strategies in enhancing reading and numeracy.